Blogs vs pay per click advertising, which is better? You would think there would be an easy answer, but the answer lies in your long term plan and short term wants. Let’s look at each, explaining the benefits and giving you some points to consider when you are deciding which is right for your business. As noted in previous blogs posts we have written, content is key. It’s not our viewpoint, rather Google’s. When you type in a search term, Google’s goal is to provide you with the most relevant results first. The less clicks it takes you to get to what your searching for, the better. Not only do you get what you want, but you’ll keep coming back to Google. 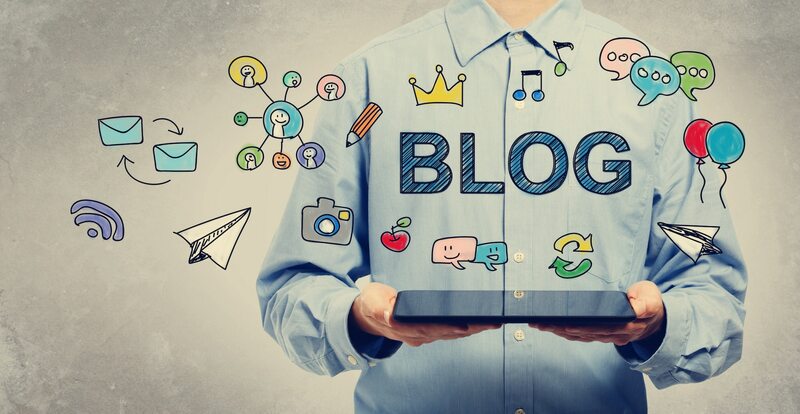 Blog posts are an essential part of providing content on your website on various topics while allowing you to keep these quick reads relevant and updated. When deciding who should write your posts, you need to think about the goals. Does the article have a specific audience in mind? Is there a clear, understandable and easy to follow theme? You should also make sure any blogs you post are not cut and paste, or duplicates of other articles, even if you have the rights to post them. Blogs need to be focused and unique. Need another reason to posts blogs often to your website? Google loves updated websites! The more often you upload a properly written and optimized article, Google makes a note and comes back and indexes your website which can lead to higher scoring in search results. If you decide to pay someone to write articles for you, it can be money well spent. When you pay for well written optimized blog posts, your return on your investment can literally be realized for decades and can be hundreds or thousands of times what you originally invested. We have clients that have articles which have been up online since the mid 1990’s that have generated millions of visits. The current going rate varies for blog writing and depends on topic, research, images, length and turn around time. Keep in mind that building organic traffic should be a long term goal of your website and results should be a steady increase in qualified visitors. If you have a time sensitive offer, news or other information that you need to promote now, you need to consider pay per click. By setting a well thought out plan using Google AdWords, you can get visitors to your website today. Of course there are a number of factors to help you determine how much traffic, the cost and the platform you wish to have your ads displayed. This article is not meant to cover all the aspects of PPC but gives you some key points in determining if PPC is right for your business at this time. In a fraction of a fraction of a second, Google take the term the prospect is searching for, finds the most relevant information and conducts an auction to determine if your ad will be displayed and at what cost to you. I know it sounds basically impossible…but it’s what Google does best, making sense of the internet. Using pay per click, a company can generate good traffic even without the best or substantial inventory of content. You have the ability to see which ads are being clicked on, which ones are leading to sales, and which ones aren’t working. This tracking and quick result feedback can help you refine your campaign literally on a daily or even hourly basis. PPC can also be compared to a faucet. Pay for ads, and the traffic flows, but once you turn it off, your traffic turns off too. Blogs vs pay per click advertising which is right for you? The real answer would be a combination. Every business, service or product needs a custom plan designed to reach specific goals. One size fits all, only works with tube socks, and honestly who owns those? Now would be a good time to schedule a meeting with Red 3 Media to discuss how to integrate professional, original and traffic building blogs with highly targeted pay per click ads. Remember the success of our business is built on the success of our clients.